Farther inland from Malvín is Malvín Norte, where the Faculty of Sciences of the University of the Republic of Uruguay is located. 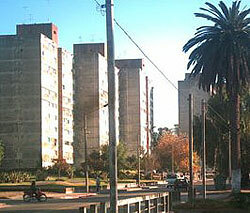 The neighborhood is also characterized by modern apartments, where many of the university’s students live. There are also single-family villas with small backyards.